For an End of Year Thank You, I created this Crayon initial for my oldest son's two teachers. Both teachers have the same initial, so once I figured the first one out, the second one went together quickly. I bought one box of 64 count, Crayola crayons for Each initial, thinking that would be plenty. I really should have gotten two 64 count boxes for each. 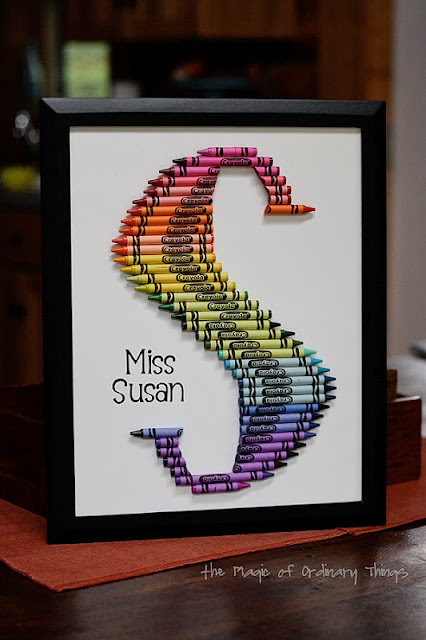 If I would have had two crayons of each of the colors at the top and the bottom of the letter, I could have created a better shaped letter. It's just a little off kilter for me. But regardless of the odd shaped "S", I think they turned out pretty cool. When I went to pick my son up from school today, Miss Susan had already hung hers up above her desk in her office. That made me Smile. I really wanted these two teachers to know how Thankful I am for making this school year for my son, so Very Special. Doesn't look off-kilter to me, at all! Looks great! Did you go to the free Alan Jackson concert in your neck of the woods? 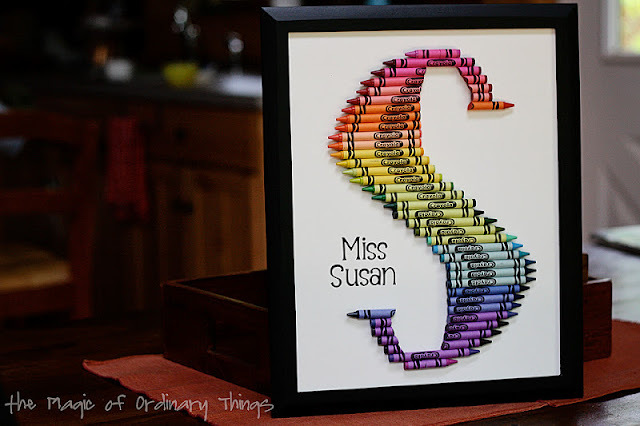 I have been looking and looking for the brave soul who monogrammed an "S" from Crayons! It's a tricky one. Thank you for the visual. It helps. Would you mind sharing a little info and tips on the steps you did on this for such great success? 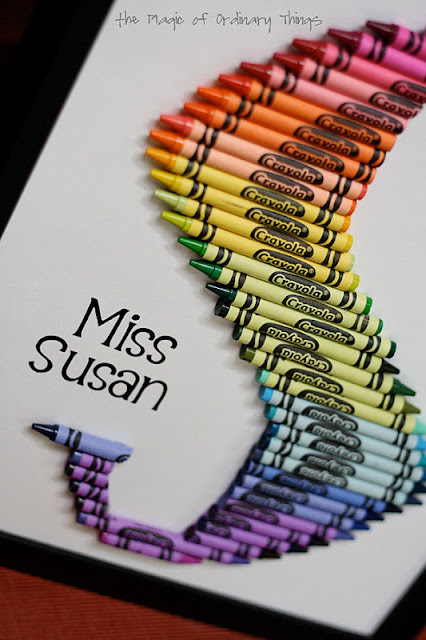 I have seen some cut out a template and lay the crayons over top, and etc.. What did you do? or I can check back on this comment thread for your response.